PRESS RELEASE: TruckingInfo.com announces new AXN Suspension offering. 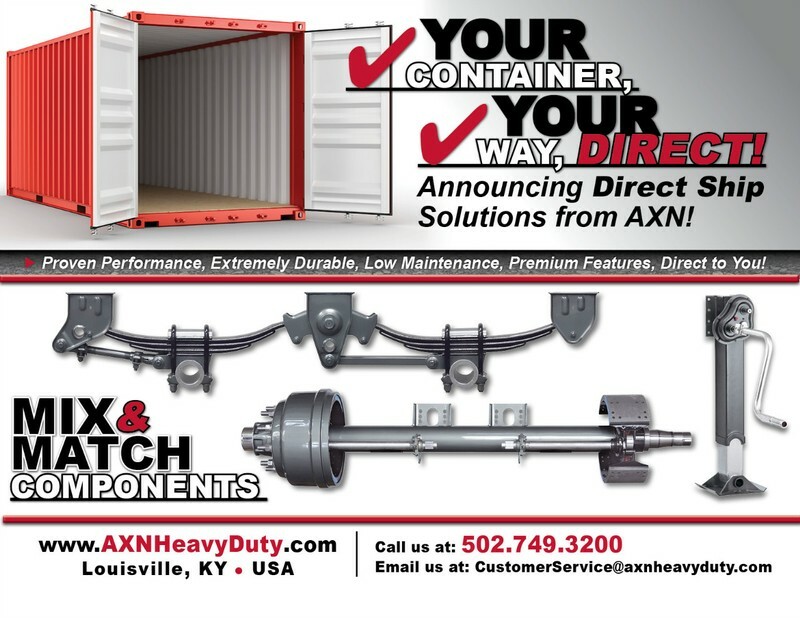 Entering its fifth year of Sales, Distribution and Support of the North American and Global commercial vehicle industry, AXN Heavy Duty, LLC is excited to announce their Factory-direct Shipping Solutions. AXN Sales Managers are working directly with OEM’s to maximize the value and product flow to their customers manufacturing facilities in North America. “We have seen a lot of interest in our direct-ship solutions over the past several months, and are coming up with creative ways to deliver complete ‘trailer kits’ in one convenient container – direct to your door. It is like offering bulk-rate pricing without bulk-rate quantities,” says John Logan, Vice President of Sales at AXN. AXN will continue to support and distribute their broad range of products to the North American market from their warehouse, assembly and distribution headquarters, located in Louisville, Kentucky. With a diverse inventory of axles, landing gear and pre-kitted suspension offerings, they are committed to fulfill special orders on an as-needed basis as well. Please contact your AXN Heavy Duty representative for further information.